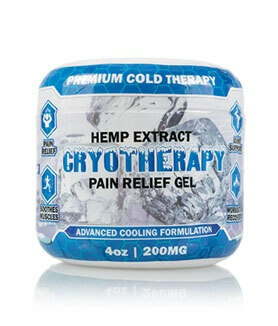 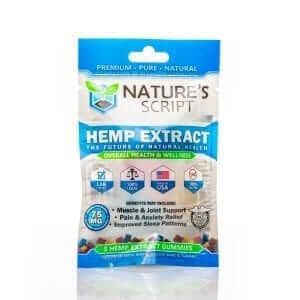 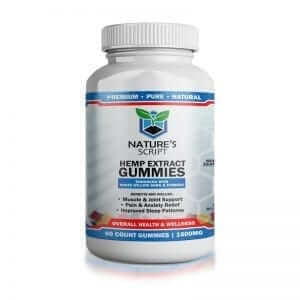 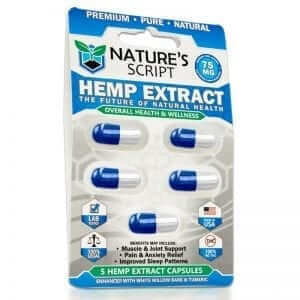 Nature's Script brings "The Future of Natural Health and Overall Wellness" to consumers with high quality CBD products. 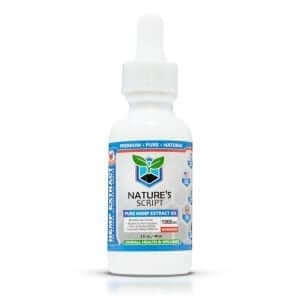 CBD has the potential to tackle major health issues like anxiety, chronic pain, and insomnia in a completely natural way. 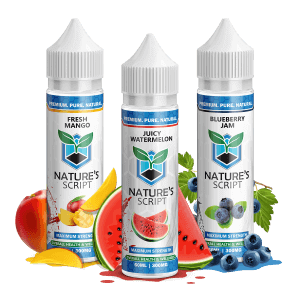 Nature's Script products are sourced ethically on domestic farms and moved carefully through production to the product line. 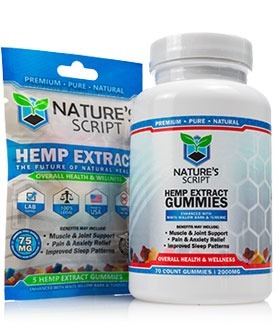 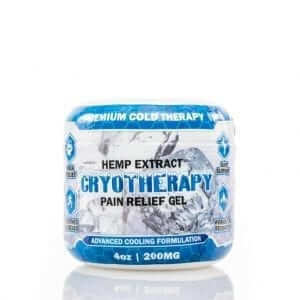 Their range of products includes staples like tinctures, capsules, and pain gel as well as more unconventional treats like delicious flavored gummies. 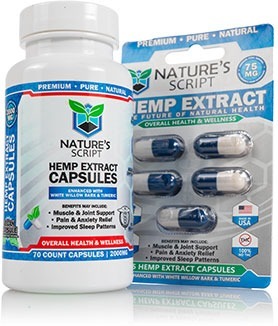 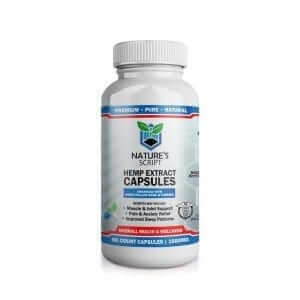 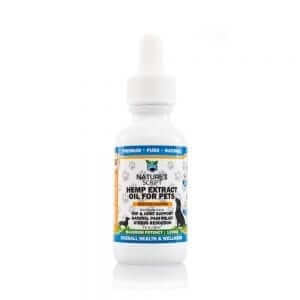 Nature's Script is supported by a team of customer service, production, and manufacturing staff that delivers a customer experience that matches the high quality of the products. 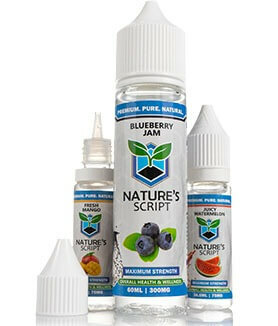 Be sure to subscribe to the Nature's Script newsletter for the latest developments in the Nature's Script product line. 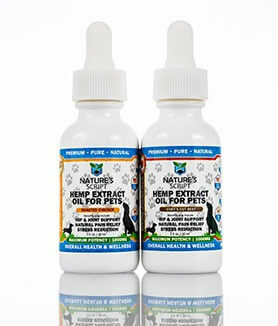 If you have any questions, do not hesitate to reach out to the full-time customer service team from the contact page. 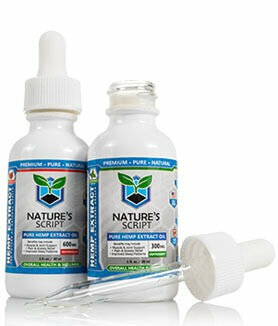 RECEIVE LIMITED TIME OFFERS AND NEW PRODUCT DISCOUNTS ON NATURE APPROVED PRODUCTS.